Located on the same ridge as Mount Snow, Haystack was a mid-sized ski area that struggled to find a place in the competitive Southern Vermont ski market. In recent years Haystack has been redeveloped as an upscale private club. Chairlifts at ski areas in three states have yet to carry any skiers this season. The future of the Haystack ski area is uncertain. 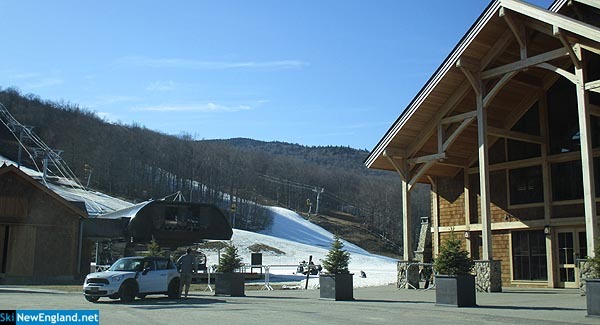 The former owner of ski areas across New England will reportedly provide financing. The private Southern Vermont resort is facing lawsuits, receivership, and repossessions. The private club is millions of dollars in debt. Berkshire Bank is requesting to put the Hermitage in receivership. The private ski club at Haystack faces an uncertain future. Vermont Department of Taxes has declared the Hermitage Club can no longer do business due to unpaid taxes. The private ski club has reportedly defaulted on over $16 million loans and recently bounced a property tax check. Members are reportedly attempting to take control of the private club.